My dear friend Joanna and I often met for lunch at a quaint restaurant in town. The Olde House Cafe had a garden patio where we would wile away the afternoon pondering the secrets of the universe. 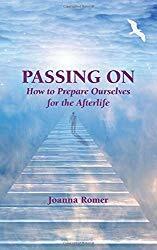 In 2016, Joanna's inquisitiveness about the afterlife ended up in an uplifting book she wrote, Passing On, How to Prepare Ourselves for the Afterlife. Do time and space exist in the afterlife? What are the characteristics of the afterlife-- is it as joyful, loving as forgiving as those who have undergone a Near-Death Experience claim? Last week, I found her book, Passing On, tucked away in the hall bookcase. I wondered then about the timing. We'd had a little disagreement. I hadn't seen my dear friend for over a year. Our phone calls had dwindled to an occasional email, a birthday card. 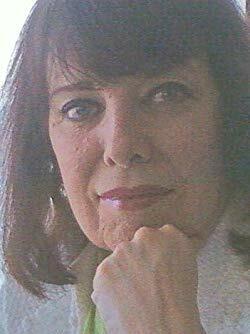 Joanna, a prolific author, was in healing mode while steeped in writing several projects. Our paths took a different direction. Then, yesterday an angel whim guided me to do a Google search. My dear friend had passed on 7/ll. A wave of conflicting emotions hit me at once. Joy for her graduation, sadness for the loss of her physical presence. No wonder I'd felt such a strong urge to drive by her house when in Daytona Beach last Wednesday. The little bridge crossing had been closed, under construction. My wish to stop by to give her a spontaneous hug had been blocked. Now I understood why... Joanna had already crossed over to the other side. What a rush of conflicting emotions I had reading about her passing. Joyful that she had moved on, graduated, finished her work, and let go. Earthly sorrow to miss her warm laughter and compassionate nature, and all the inspiration we shared over the last eight years. "Just As It Should Be," is one of the many chapters in Passing On that brings understanding. Everything is perfect as it is. This played out as I reread a passage I'd quoted in an amazon book review of her first book, Widow: A Survival Guide for the First Year published in 2012. Tearfully, I was amazed how that beautiful experience painted the cover of Passing On. Just as it should be. "The sun is beginning to sink now, and the light over the ocean is beautiful. I can't see the sunset here--I'm on the ocean side--but I know when I walk over the little wooden bridge toward the river, I'll see it. I'll be doing that very soon. Our recovery is a bit like that--we can't quite see the dazzle of color that we know is us--not quite yet, but the inner light is changing. We can feel something new and different emerging. We know that eventually we're going to walk over that bridge into a new and glorious self."